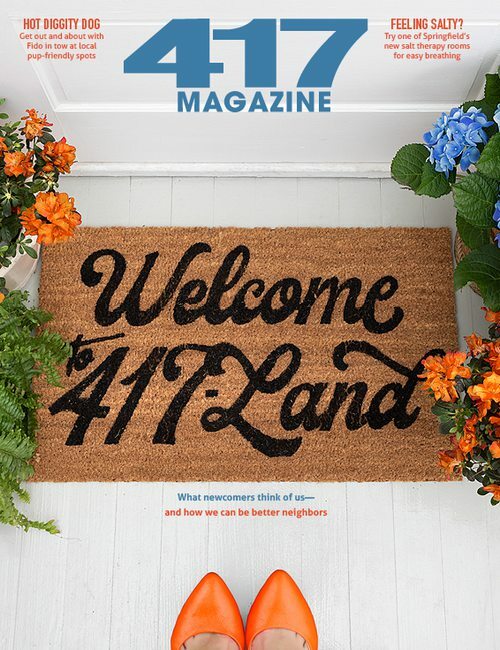 By Adrienne Donica, Katie Pollock Estes, Evan Greenberg, Rose Marthis, Claire Porter | Art Direction by Fried Design Co. 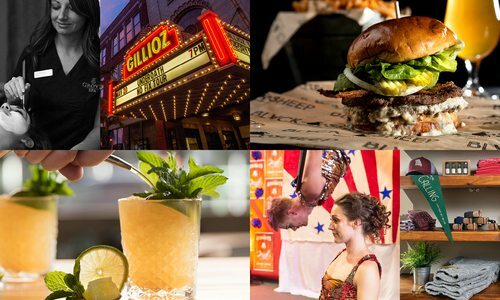 The past 12 months have been a wild ride for Springfield’s dining scene. We’ve seen some heartbreaking closures, some interesting moves and, most importantly, some exciting openings. The question “Where should we go for dinner?” has a lot more answers now than it did this time last year. So we did the work for you and are telling you the best of the best that have opened (or re-opened) in 2018. These eateries have grabbed our attention by serving global flavors and elevating classic dishes and drinks. They’re taking risks and creating innovative plates, proving that Springfield is at the forefront of dining trends. 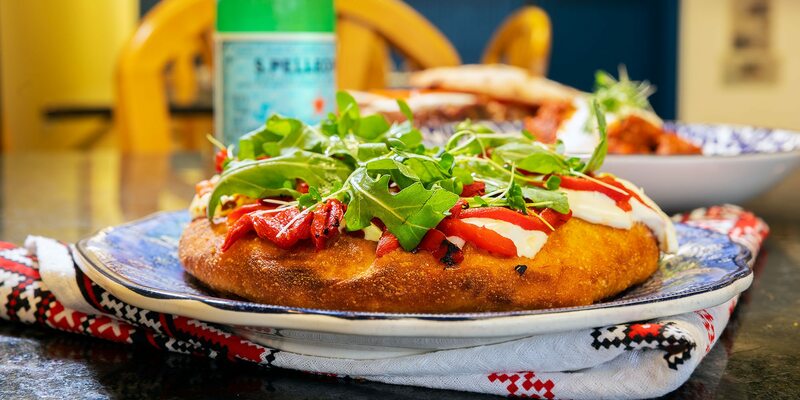 There is no better time than the present to be a foodie in southwest Missouri, to stumble into a new restaurant, to order something you’ve never seen before. So dig in to decide where you’re making reservations next. 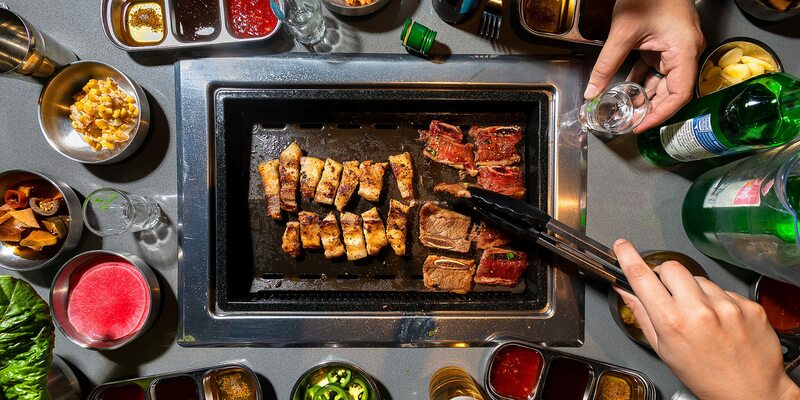 Springfield now has a Korean barbecue place to call its own. Bawi Korean BBQ is a unique dining experience rich with culture and hands-on all-you-can-eat meat. As soon as you enter Bawi Korean BBQ you’re greeted in Korean. When you leave, staff bids you farewell in Korean. 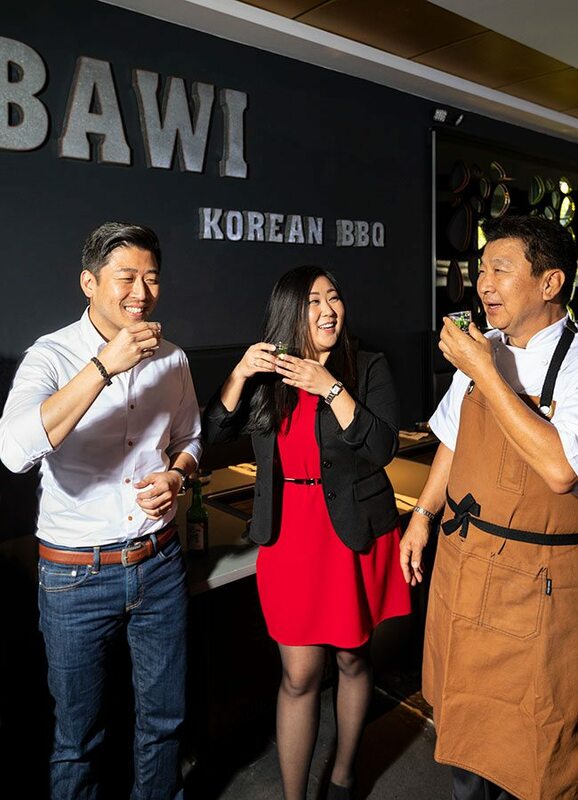 Bawi wants to promote the traditions of a communal Korean meal. Here’s how it works: First, you likely need to call ahead—due to the nature of the experience, you’re going to stay awhile, so tables tend to stay occupied. There is a grill on the table because you grill the meats yourself. A waiter comes by to walk you through the process as well as detail all of the meat offerings available. There’s the brisket, a pork chop and sausage; overall, there are a total of 13 meats to choose from. There are also side dishes called banchan, made up of a plethora of assorted vegetables. Eating at Bawi costs $25, which gets you an all-you-can-eat experience with whichever meat you’d like in unlimited quantity, a dessert, rice and a soup of the day. The experience of eating at Bawi takes about two hours, which is a part of the cultural immersion experience the Kwon family is going for. The staff is aware of any barriers of entry for those unfamiliar with the concept and is more than willing to answer questions. Downtown Springfield got its first barbecue joint earlier this year. But Wes Johnson and the Black Market Smokehouse team are serving more than just your average pork and beans. When Metro Farmer closed in January 2018, 417-landers were left with a Wes Johnson–sized hole in our hearts and stomachs. But our despair ended with the July 2018 opening of Black Market Smokehouse, owned by Scott Pitts and Jason Delcour with Johnson in the kitchen. 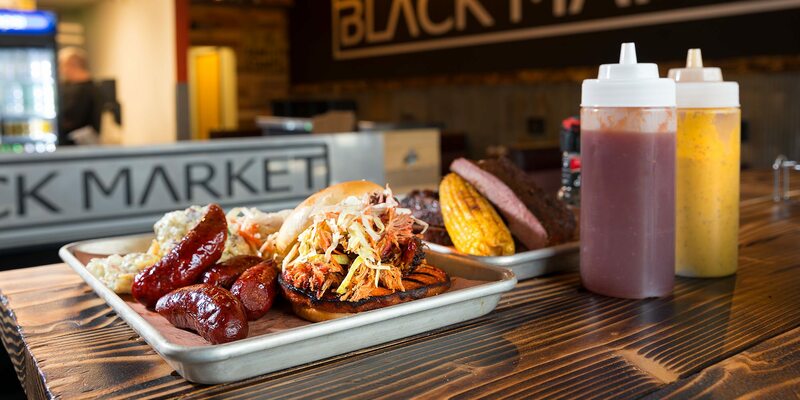 Black Market Smokehouse quickly carved out its place as the barbecue hot spot for downtowners. But you can’t do a meat-to-meat comparison with other barbecue players in town because Black Market Smokehouse is reinventing everything you thought you knew about Southern classics. The menu is meat-centric, yes. You will find smoked chicken, brisket, pulled pork, sausage and ribs. There are classic sides (think chips, cornbread, potato salad, slaw and pit beans) and even some sandwiches and salads. But what keeps us coming back for more are the rotating specials, dinner features and foodie experiments Johnson creates to keep pushing the envelope. Weekend diners have seen a smoked brisket French dip, a “barbecuban” fusion sandwich (which has found a permanent place on the sandwich menu) and smoked pork loin with peach butter glaze, to name a few. And the late-night menu has dishes you won’t find in the daylight, including smoked wings, barbecue spaghetti, elevated Frito pie and the booze-absorbing chicken and waffles—all available from midnight to 3 a.m. This July, Greek Belly brought traditional Greek fare to Springfield. With an emphasis on freshness and an eye for quality, owner John Tsahiridis is all about keeping it quick and casual. Like a lot of people who have spent years in the restaurant biz, John Tsahiridis had long dreamed of opening his own place. He wasn’t always sure what concept he would eventually pursue, but once he decided on a casual spot offering Greek and Mediterranean food, he knew he wanted to do it right. And for Tsahiridis, doing it right at Greek Belly means creating authentic, fresh, house-made meals—just like the ones he had when he was growing up in Greece. “We make everything from scratch and fresh,” Tsahiridis says. “If we don’t make it, it’s imported from Greece.” Peek into the kitchen at the downtown Springfield establishment and you won’t find any microwaves. The sole freezer holds just phyllo dough, which Tsahiridis and his team—led by Tsahiridis’ mother, Eleni—use to make spanakopita and saragli, a rolled baklava. 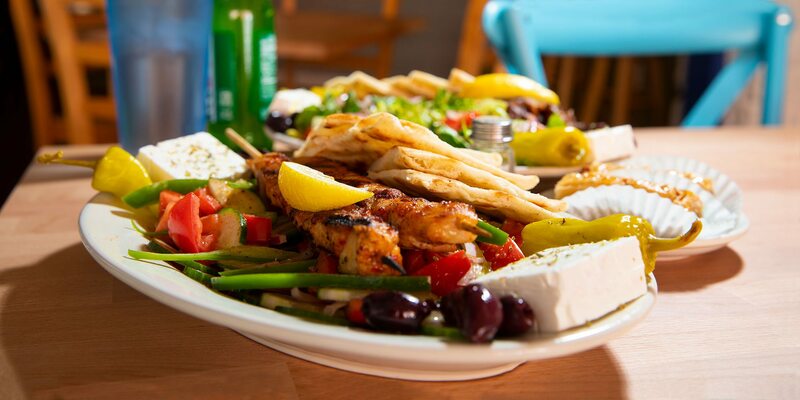 Fresh pork and chicken used to make gyros is delivered daily, marinated overnight in a blend of Greek seasoning then hand-sliced and stacked onto a spit to be slow roasted and served. Young Jun’s latest restaurant venture in Springfield is a buzzy ramen spot that hopes to change your perception of what the dish can be. Ramen can be low-brow—think the microwaves of college dorms across America—or high-brow. Karai Ramen + Handroll falls into the latter category, serving ramen crafted with care. As Young Jun, the restaurateur behind other 417-land favorites Haruno, Kai and Koriya, explains, ramen is a soul food in Japan, and there’s no reason it can’t be the same in Springfield. 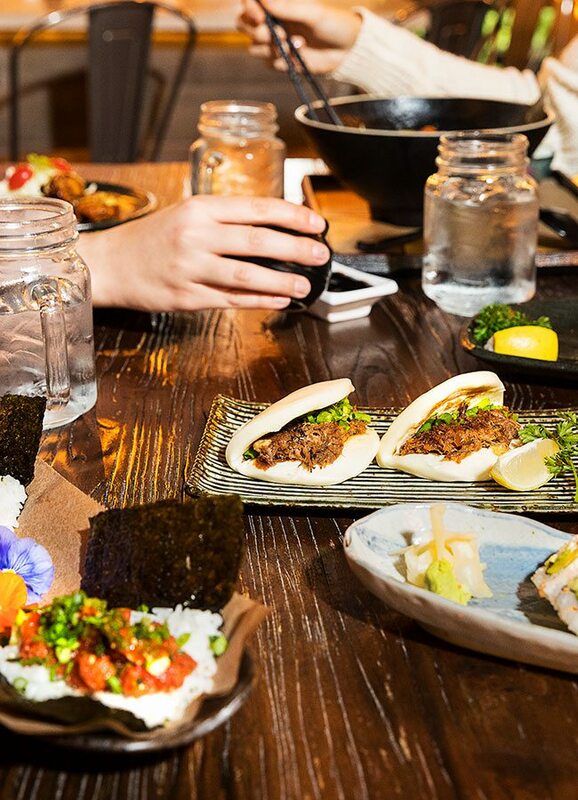 Karai has plenty of non-ramen options on the menu as well to round out your dining experience. The “handroll” portion of Karai's name refers to the work of sushi chef Gaven Rehkop. “Fifty percent of people, they [confuse] this ramen… with the grocery store ramen,” Jun says. “A lot of people think it’s fast food. I want to make the right food.” She explains that authenticity and expanding customers’ idea of ramen are most important. It’s evident that this is a passion project—Jun had a say in every square foot of the restaurant, from the moss that hangs on the wall to the way the bricks were cut and placed. Karai has a few teas to choose from. We especially like the cold brew green tea, which features green tea and roasted rice mixed with filtered water. The tofu nuggets are divine and feature edamame tucked inside. “Handroll” is right there in the name, so if ramen isn’t your thing, you’ll still be satisfied by sushi rolls and deconstructed handrolls. Our favorite? The spicy tuna handroll. This new spot offers diners a new experience, serving European food that ranges from creative flavor combinations to pure comfort. Brews, booze and big plates collide at Roots Coffee Bar in west Springfield. So often, restaurants make us choose: Do you want a killer cocktail or a delectable meal? A place to hang with friends or to bring your kids? Britny and Stephen Washburn know the feeling. “We were always going to Starbucks and coffee shops, but we couldn’t ever get exactly what we wanted,” Stephen says. What they wanted was a place that serves a great cup of joe, a substantial hot breakfast and a cocktail or two, a place they could take their three kids, a place like Roots Coffee Bar. Roots has a small but hearty menu with breakfast and lunch items. “We wanted real ingredients, real food, something we could make hot and fresh and quick,” Stephen says. 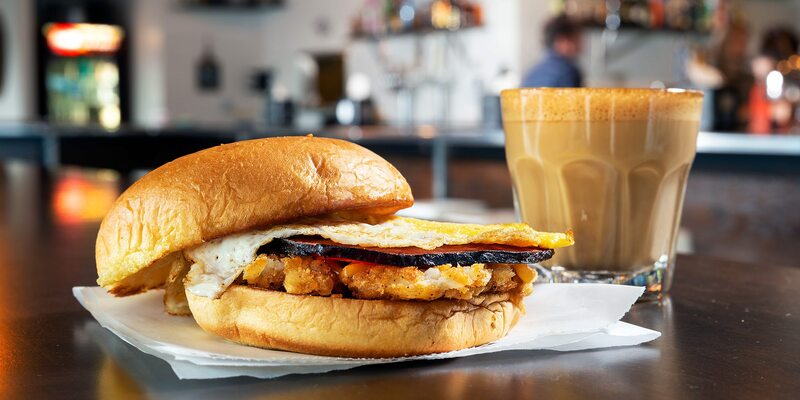 “We’re at a coffee shop pace, so we gotta be quicker than sit-down service.” The signature dish—an ideal hangover food—is the Smash Brown, a fried egg, cheese and hash brown sandwich topped with sausage, house-made brisket or pecan smoked shoulder bacon and served on a potato bun. 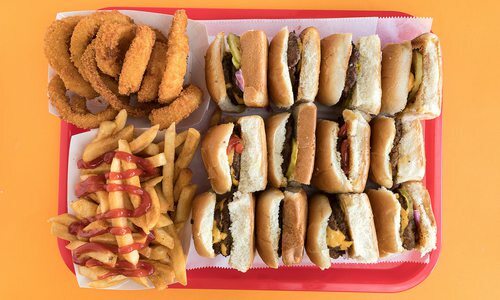 Biscuits and gravy, a yogurt parfait and homemade baked goods are offered alongside flavored tots, burgers and other sandwiches. It’s a menu that can keep the whole family full and happy. And as the name implies, you can get your caffeine fix or something decidedly stiffer thanks to the restaurant’s full bar. With a seasonally shifting menu of elevated American cuisine and inventive cocktails, Social on Patton is raising the bar for Springfield’s fine-dining scene. 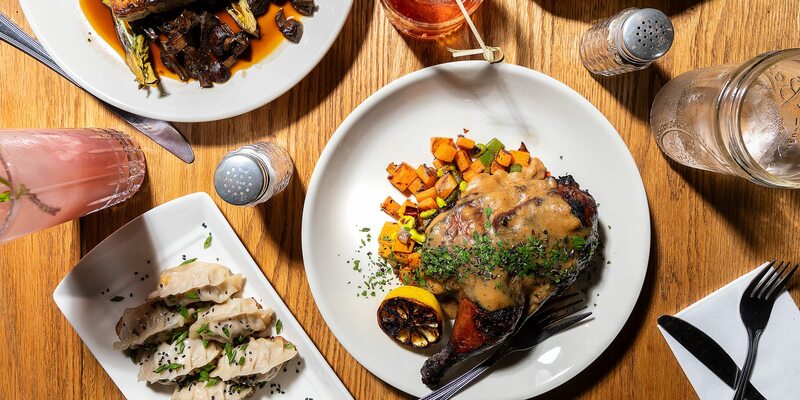 When CB Social House changed gears earlier this year and became Social on Patton, Springfield shed a collective tear for the loss of CB’s stick-to-your-ribs Southern favorites, extensive bourbon selection and meat-forward menu. Fortunately for our local dining scene, sadness was unwarranted. 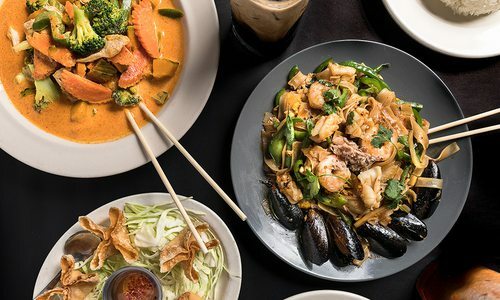 Social on Patton has made a name for itself with simple yet elevated interpretations of homestyle cooking, reenergized American cuisine and carefully considered cocktails. Chef Josiah Craig and front of house manager Vincent Nolden are focused on creating a dining experience that people enjoy and don’t feel alienated by. Sometimes that involves taking familiar family-favorite dishes, like chicken and dumplings, and heightening them with impeccable preparation and a focus on farm-fresh ingredients. Other times it’s by introducing diners to new cocktails or styles of drinking that pique the interest but don’t intimidate. 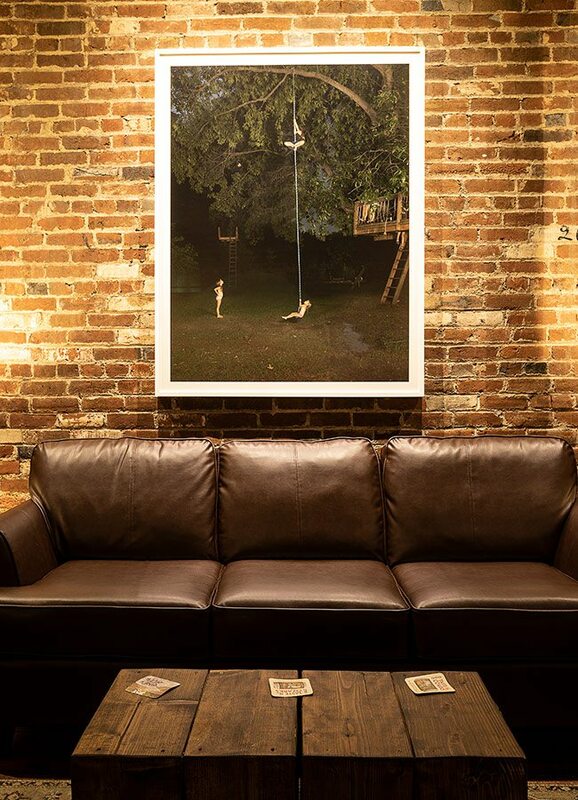 View work from local artists, such as this piece by Julie Blackmon. Cozy on up to the bar at Social for a cocktail. They aim to make cocktails accessible with intriguing yet familiar drinks, like the barrel-aged Manhattan. Regardless of the dish or the drink, creativity is the name of the game at Social. The team keeps new ideas churning at Monday research and development night, when diners sample a brand-new limited beverage and dinner menu each week. Guests leave feedback with a star rating system and comments, and the staff reviews, tweaks—and sometimes abandons—their concoctions, which might eventually find their way to the dinner menu permanently. Visit the downstairs bar on a Monday night to sample the R&D menu. Diners choose from a limited menu of brand-new items—most of which are a work in progress. Rate what you’ve tasted and leave a comment. Gather your brood and give Social’s family meal a try. Chef Josiah Craig is turning to his own family’s cookbook of recipes, including homestyle favorites like pot roast and chicken and dumplings, and building a three-course shareable meal around them. Social features an art gallery with pieces by local artists. The restaurant has established a partnership with Harmony House through a give-back frequent diner’s card program, and the gallery continues that, with profits from the gallery going directly to Harmony House. Rich and bustling Commercial Street continues developing into a cultural hub with Joe and Claire Gidman’s ode to Dutch cuisine that’s been warmly welcomed into the community. On opening day of Van Gogh's Eeterie, Joe Gidman found a note taped to his restaurant’s door. It was written in Dutch, and it read, “Thank you for your presence.” That note now hangs in the Commercial Street restaurant, a reminder of what it’s about: bringing new cuisine to Springfield and establishing a dining destination. Van Gogh’s is the second restaurant for Joe Gidman and his mother, Claire Gidman. Their first, Cafe Cusco, developed a devoted following in its six years of operation. When Joe announced this new concept, inspired by his time as an exchange student in the Netherlands, there was a different energy around the opening, with 417-landers anticipating its opening with baited breath. On opening day, every table was occupied within 20 minutes. Feel transported to another world when dining among European-style seating, artwork and decor. 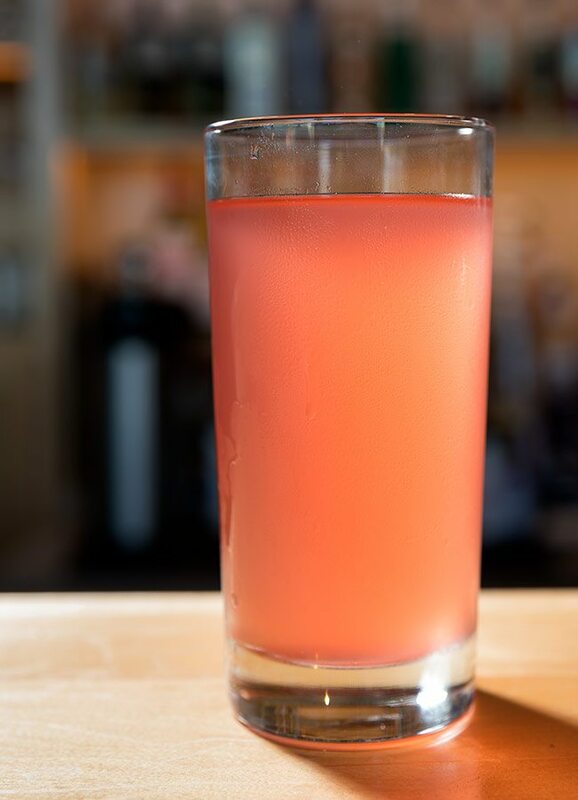 Van Gogh’s serves kombucha on tap and also makes its own kombucha with custom syrups—like the Beetito, beet-flavored kombucha made with in-house mint syrup. Introducing a new concept to Springfield is exciting in itself. But it also has to be done well. 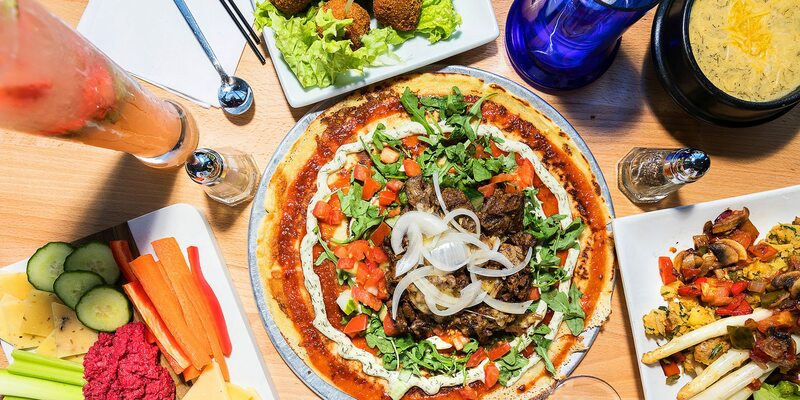 The restaurant focuses on modern Dutch cuisine, like open-faced pancakes with savory toppings, stamppots—a meat and potato dish—and other native delicacies. Gidman traveled to the Netherlands last year to gather intel to bring back, and that’s reflected in the menu. 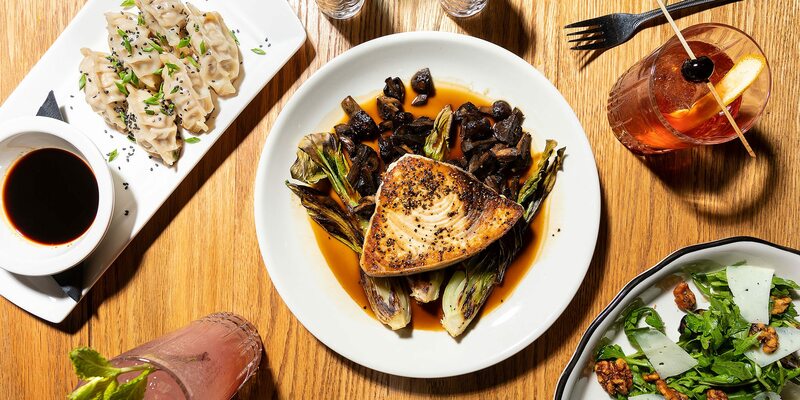 What is particularly exciting about Van Gogh’s is that you’d be hard-pressed to find a restaurant elsewhere that does exactly what Van Gogh’s does. It’s not uncommon, Gidman says, to have people discover Cafe Cusco, Van Gogh’s and Commercial Street as a whole. If you show people something they haven’t seen before, they’re going to be intrigued. Word spreads, and that’s how you grow an area. Gidman is modest in acknowledging his part in this growth, but with Van Gogh’s and its European-style seating, artwork and decor, he has created what he calls his “own little world” along with Cafe Cusco. The patio sits on a neat and tidy space that celebrates its European roots. Gidman says people take photos here all the time. Gidman wants the experience to be a communal one in which you can feel immersed in the food, ambience and conversation. Street-friendly fusion food truck The Wheelhouse is cooking up fresh new tastes in its fresh new brick-and-mortar inside Vib hotel, so you can settle in for a meal or tuck in for the night. Wheelhouse's indoor location doesn’t just mean increased seating—although there is quite a lot of it. 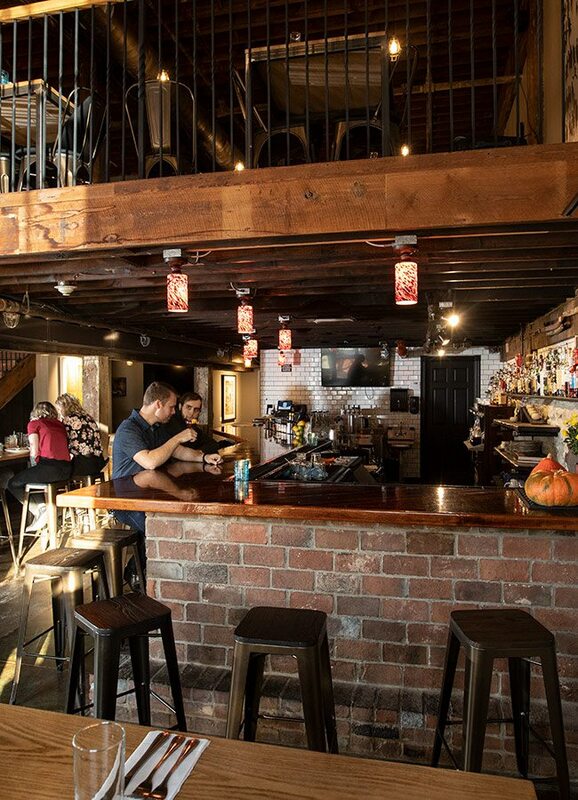 The permanent space allows for all-season seven-day service and an expanded menu, and it’s fitted with a full bar, meaning The Wheelhouse is able to offer custom cocktails to complement tacos, wok dishes and sandwiches. Vib’s setup also offers space to showcase Wheelhouse’s local collaborations. Seymour-based Circle B Ranch supplies pork; Mount Vernon’s Keen Bean Coffee Roasters stocks the coffee bar; and local kombucha, beers and liquors like Copper Run line the bar. But perhaps the sweetest collaboration is with B + B Boulangerie & Bakery. Owner Katie Kring brings her European-inspired desserts to a set menu of cakes, pavlovas and mousses. The desserts make for a decadent finish to a vinegary kimchi falafel taco or a nutty plate of pad thai. 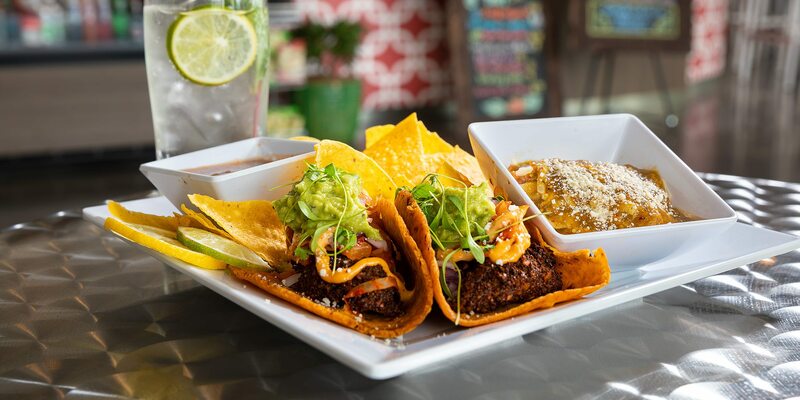 True to The Wheelhouse’s commitment to serving food for all diets, Kring’s menu has vegan, gluten-free and dairy-free treats. Food isn't all that's new in Springfield's dining scene. Stop by one of these new establishments for the freshest new sips. 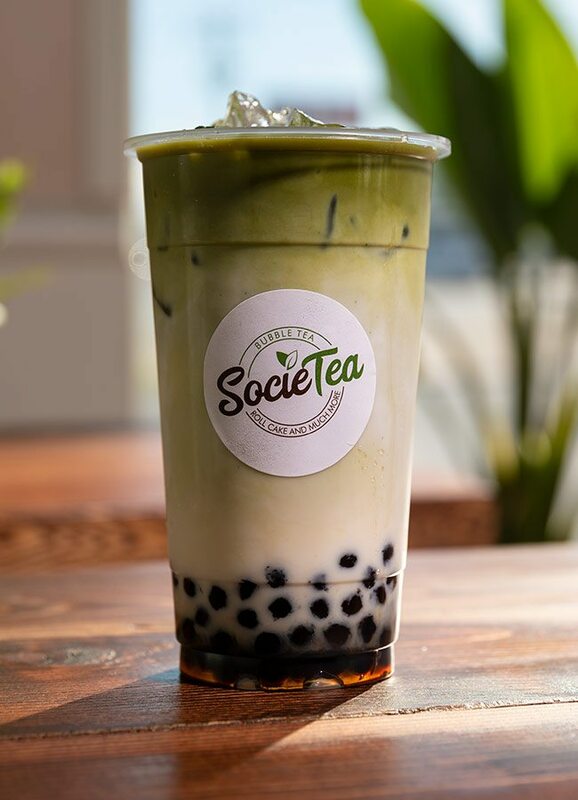 SocieTea specializes in bubble tea and does so creatively. There are also sweet pastry options, like matcha roll cake. 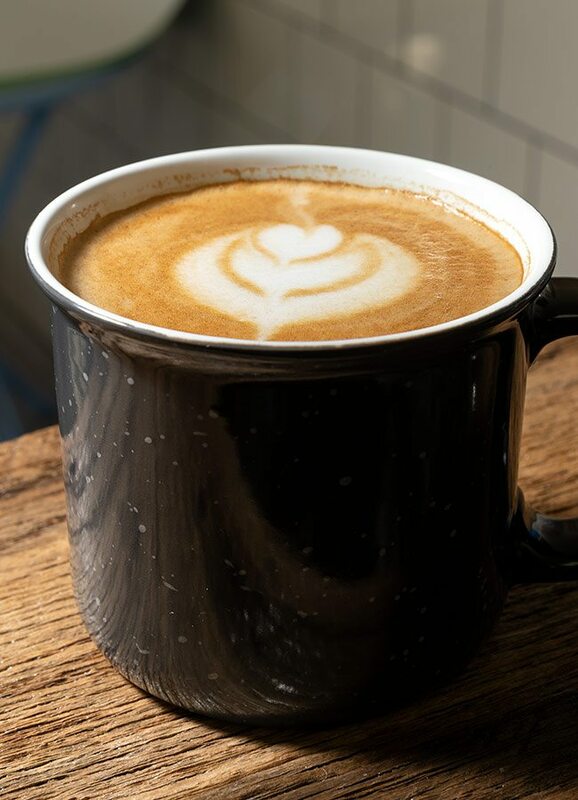 Free Solo Coffee Co has a distinction among 417-land coffee shops to brag about: The menu is completely gluten-free. 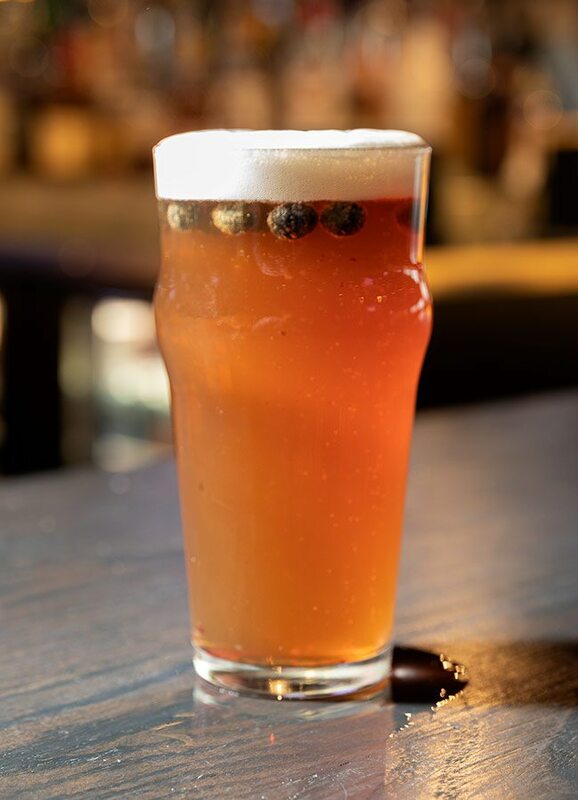 Bricktown Brewery has an expansive food menu that accompanies the brewery’s own beer. These up-and-coming restaurants (plus one newly opened) have us licking our chops. A new spot from the team behind Social, Team Taco will occupy what used to be Elle’s Patisserie, serving pork belly tacos and a “Stranger Taco” that changes daily. Details around open date are still being sorted out as of press time. Serving a variety of hot dogs and craft beer on the ground floor of the Brewery Flats building, Frank ‘n’ Steins will open by the end of 2018. From restaurateur Michael Felts, Hot Cluckers brings Nashville hot chicken and southern favorites to Springfield. Expect it to arrive by the beginning of this month. C-Street gets richer as chef Drake Tillman opens Elkhart & the Robberson, his new restaurant in summer 2019 with a focus on modern, vegetable-forward cuisine. Progress, opened in October at Farmers Park, serves food from a variety of cultures and started as a pop-up concept. Reverie, on the top floor of the same building, is set to open by the end of the year as of press time and will serve seasonal cocktails and small plates. Springfield’s first quick service sushi restaurant, Craft Sushi, opened in November, offering sushi rolls alongside other Asian eats like poke bowls, infused teas and more. Bolivar diners will have a new locally-sourced food option in Basil & Bourbon, set to open in December. With a late-December or early January open date, The Hepcat will bring a Kansas City-inspired jazz club to downtown Springfield with Midwest comfort food and cocktails inspired by the prohibition era. Hot dogs fever hits Springfield as the folks behind Hurts Donuts open a zombified restaurant, Zombie Dogs and Fries, with their own hot dog and french fry concoctions. As of press time, no open date has been announced. The chefs and owners at our best new Springfield restaurants are not starting from scratch—the group’s resumes are impressive. Find out where your favorites honed their craft. The Kwon family are the masterminds behind Hinode Japanese Steakhouse and Sushi, which has two locations in Springfield and Nixa. 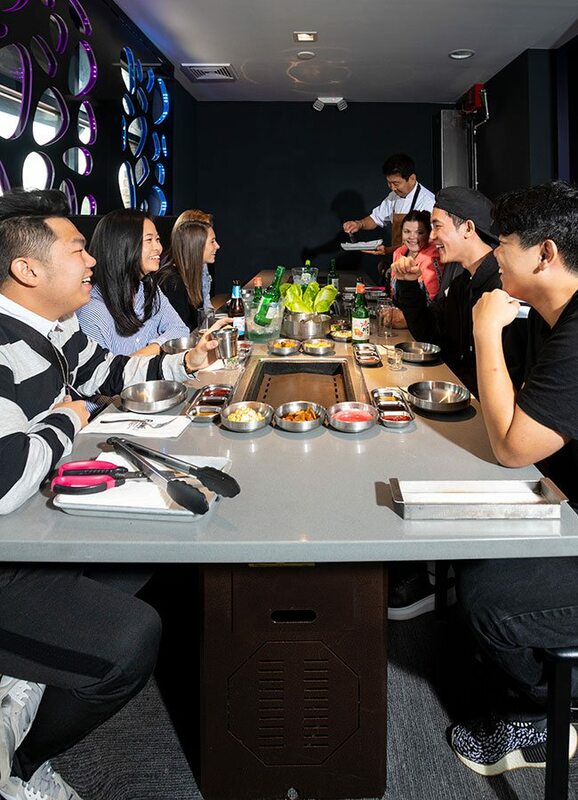 Cosmo and David spent two years developing the Korean barbecue concept for their newest venture. We all know Wes Johnson curated a loyal following in the kitchen of Metro Farmer. But co-owner Scott Pitts has industry experience, too: He owned Gameday Smokehouse, which became what we know today as DUGOUT Bar & Grill & Sports & Music. Owner John Tsahiridis spent most of his career at Galloway Station Bar & Grill, serving as a cook, bartender and general manager. Before that he worked as a server in short stints at Springfield Brewing Co., Bijans, Clarys Catering/Banquet and Ardy's Fine Dining; was a server at The Tower Club, Big Cedar Lodge's The Worman House and Osage Restaurant. 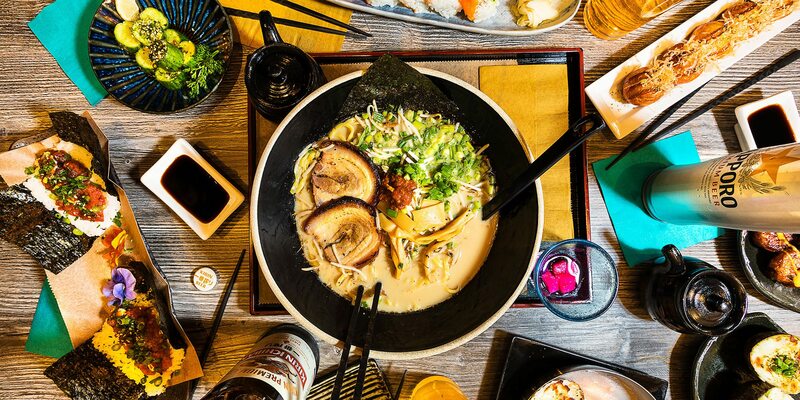 Karai Ramen + Handroll is the fourth restaurant in purveyor Young Jun’s growing empire, which includes Haruno Sushi Bar & Grill, Kai and Koriya. She continues to bring Asian flavors and experiences to Springfield menus. Owners Britny and Stephen Washburn have worked in the local dining scene for over a decade. Britny was a server at Maria’s Mexican Restaurant before moving to Roots. Stephen is familiar with the morning scene, working at Gailey’s Breakfast Cafe, Grad School and, currently, Early Bird Breakfast Pub. Chef Josiah Craig and Front of House Manager Vincent Nolden are bringing their diverse backgrounds together for the menu and bar program at Social. Craig worked at MaMa Jean's Natural Market and at Hickory Hills Country Club and helped open and run the kitchen at Golden Girl Rum Club before coming to then-named CB Social House. 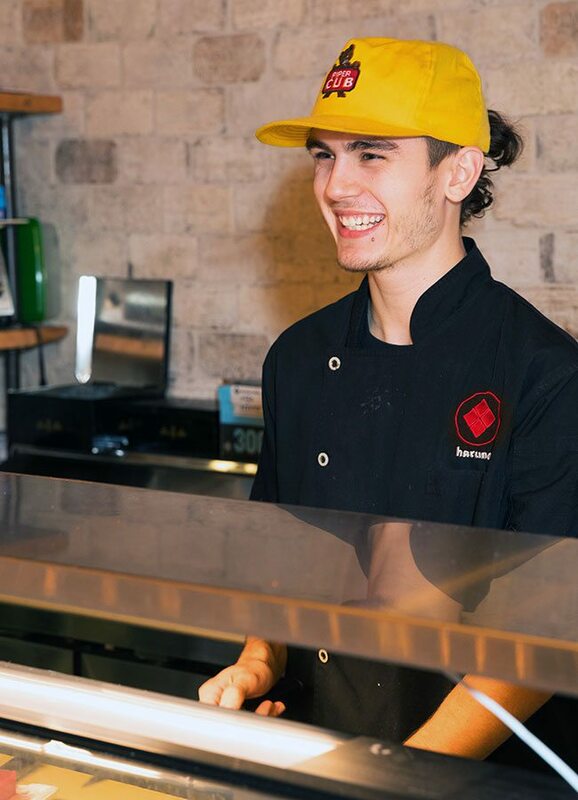 Nolden started in food service at age 18 and spent some time as a server and bartender at Umi Sushi Bar & Grill. Joe Gidman has a long history in Springfield. He was the general manager for Young Jun's Koriya and a manager at Kai. After that, he was a manager at The Rebecca Grill, a restaurant that became Black Sheep Burgers and Shakes. After that, Gidman opened Cafe Cusco and Van Gogh's followed. 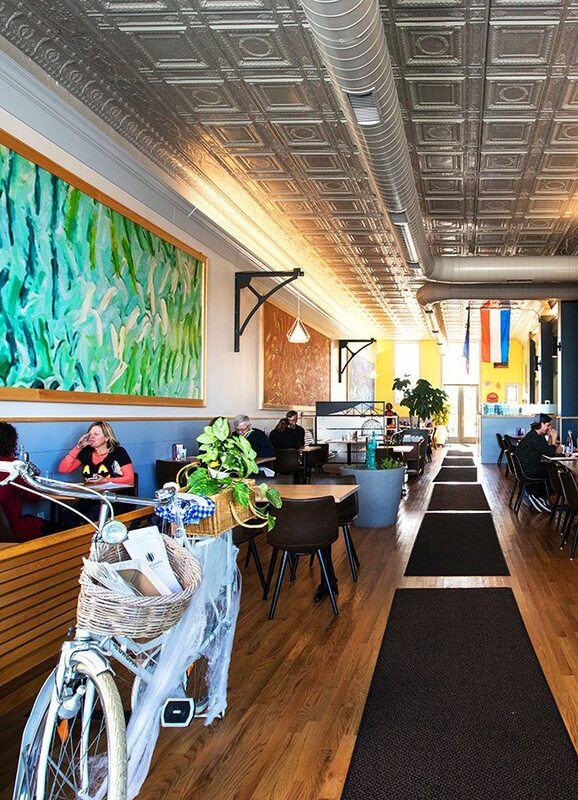 This is Zach and Melissa Smallwood’s first venture into the foodie scene, but don’t sell them short—the dishes that are devoured in Vib’s lobby were first developed in The Wheelhouse’s food truck, formerly located on Saint Louis Street by Brick & Mortar Coffee.